She is expected to face another inquiry. 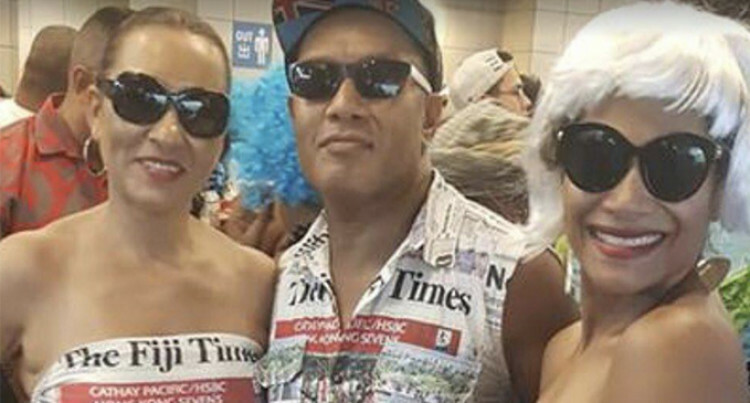 Despite criticism about her dress standards in Hong Kong, Lynda Tabuya remains unflustered as she moves on to Singapore to cheer for the Fiji Airways national 7s team. Her close associates say that the Opposition Whip dresses for the occasion. When she is at the ground she joins the spirit and dresses to suit it. When she is in Parliament she dresses appropriately. The first one ended with her and MP Mosese Bulitavu, one of her fiercest critics, making up in front of Opposition leader Sitiveni Rabuka.